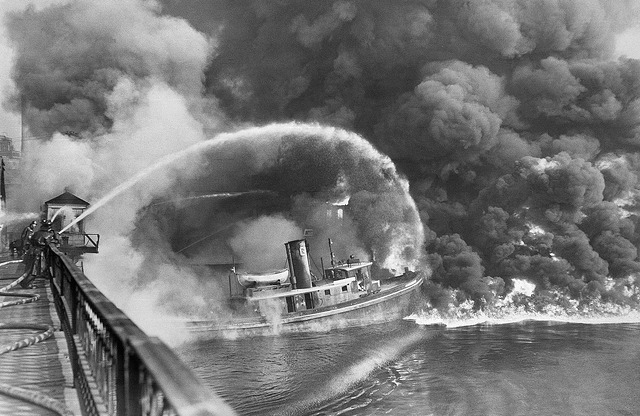 Photo credit: Tullio SabaThe relationship between Cleveland and our local bodies of water is a complicated one, no more so than on June 22, 1969 when sparks from a passing train ignited oil-soaked detritus in the Cuyahoga River. 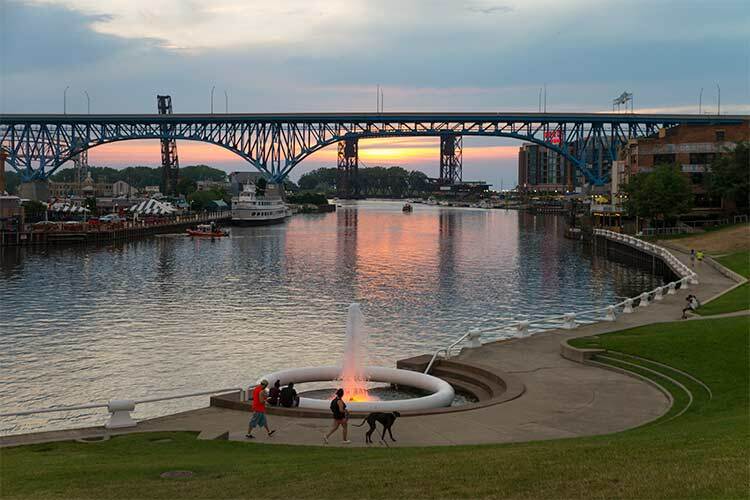 The Cuyahoga River todayFifty years later—instead of relegating this event to the annals of history—the city of Cleveland will spotlight its considerable environmental progress and commemorate this pivotal point in time with Cuyahoga50. A yearlong celebration devoted to our very own burning river, Cuyahoga50 will feature a series of events throughout 2019 to celebrate clean water and ignite future action through storytelling, discussion, and debate. One of the highlights leading up to the main anniversary festivities on June 22, 2019 will be "Creative Fusion: Waterways to Waterways"—a partnership between the Cleveland Foundation, the City of Cleveland, and 12 local and international artists. The project will use the anniversary as a jumping-off point to promote environmental justice, highlight water-related art, and celebrate the astounding strategies that have positively transformed Cleveland’s surrounding water. Similar to other "Creative Fusion" installments, "Waterways to Waterways" is a two-pronged initiative that acts as an exchange program of sorts—with global artists visiting Cleveland and vice versa. Five local organizations—including the Cleveland Print Room, Cleveland Institute of Art, Praxis Fiber Workshop, LAND Studio, and Kent State University Cleveland Urban Design Center—will host the visiting artists. Featured projects range from an internationally-recognized German architect and planner sharing his expertise on green urbanism (sponsored by CIA) to an Ethiopian photojournalist showcasing an exhibition of aerial photographs of the Cuyahoga River (sponsored by the Cleveland Print Room). Also in the works are a themed PechaKucha night, a river walk with Native American artist Sharon Day, and much more. 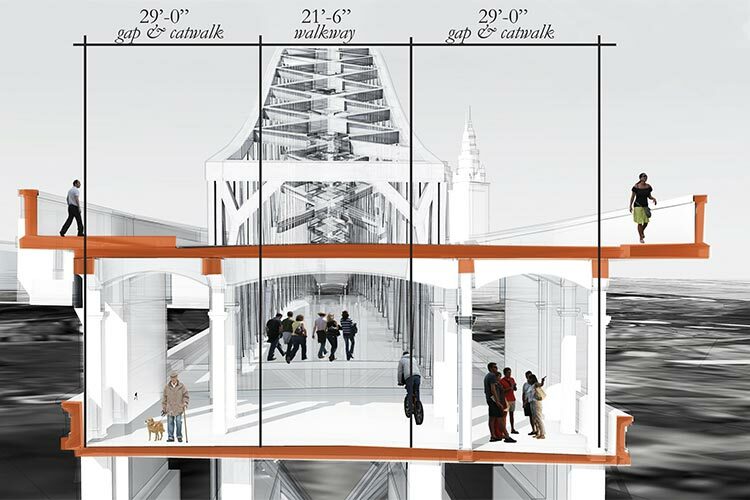 Plans for the Detroit-Superior BridgeKey to the “Waterways to Waterways” effort is for Clevelanders to not simply passively observe water-related projects, but actively engage in the initiatives on display. The Kent State University Cleveland Urban Design Center (KSU CUDC) will be hosting a visit by Squidsoup, a UK-based design collaborative, to create an interactive experience on the streetcar level of the Detroit Superior Bridge. Clevelanders will even get an opportunity to get their hands wet—and maybe even a little bit blue—at Praxis Fiber Workshop, where Venezuelan artists Eduardo Portillo and Mariá Eugenia Dávila will pair up with two local artists to be the first to use a newly fermented Indigo Vat. 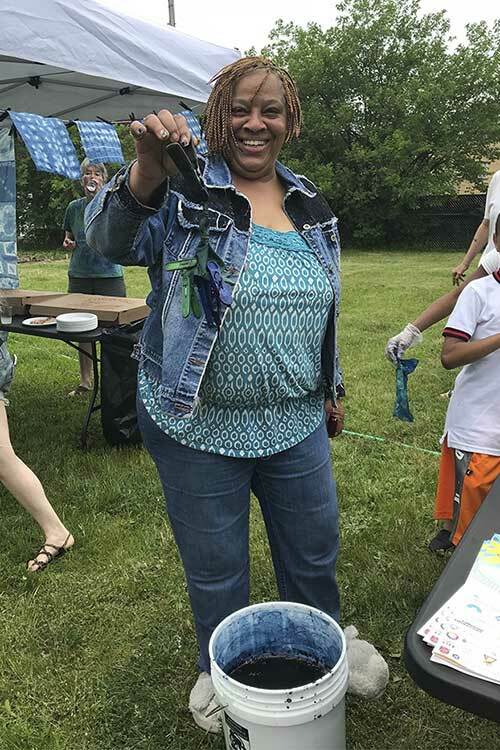 Participants will be able to dye their own individual squares of fabric, which will then be incorporated into a 60-foot banner to be displayed downtown during the event. Under the instruction of KSU professor Taraneh Meshkani, KSU architecture and environmental design students will also be traveling to Beirut and Medellin in the coming months to research the commonalities between the river there and our own local supply. This cross-cultural exchange of ideas will be shared at InDEX Studio: River, Nahr, Rio as a chance to inspire those working tirelessly to restore the ecological health of corrupted waters. A central tenet of “Waterways to Waterways” is the idea that water preservation is a process, and not an end goal. Yes, the fire on the Cuyahoga was 50 years ago, but there are still communities across the globe with conditions not far off from what Cleveland experienced in 1969.